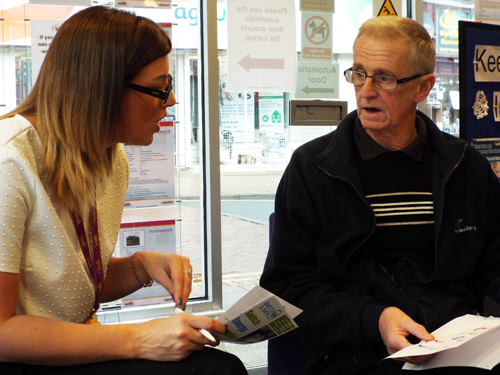 WDH tenants received free advice about staying warm, thanks to a stall in Castleford today. 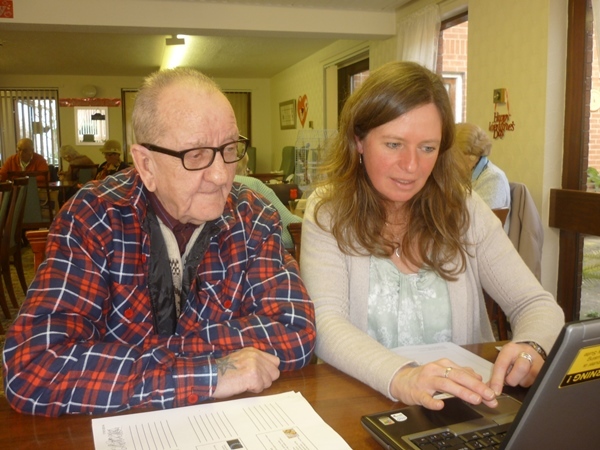 Vicci Gibbons from WDH’s Sustainability team was at the local Service Access Point (SAP) to meet tenants and tell them about ways to save money and stay warm this winter. 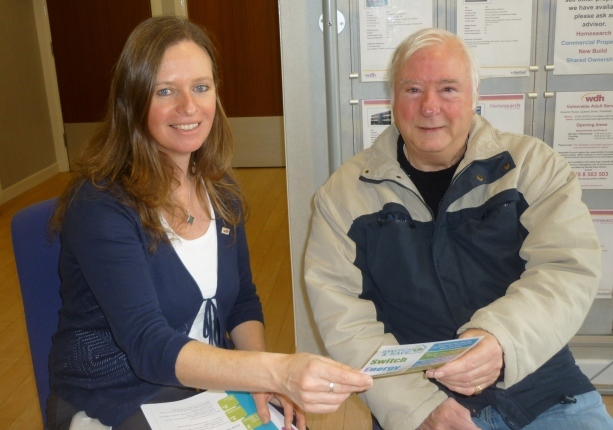 People received advice about reducing their energy bills, as well as information on how to receive free loft and cavity wall insulation. Mr Liddan from Castleford popped in after reading about the sessions in WDH News. He was told how to switch his energy tariff as well as the best ones for his particular circumstance. The Sustainability team will be at South Elmsall SAP on Thursday 15 January and at Pontefract SAP on Thursday 22 January (all sessions 10am-noon).